French lace on the top and front section guarantees realism. You'll appreciate the 3/4" PU patch (super thin brushed poly patch) 1/2" back from the hairline that acts as a tape tab. 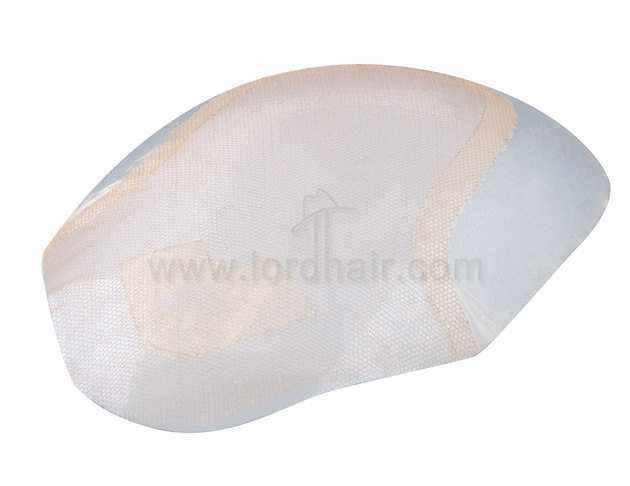 The 1" thin transparent skin on the back and sides makes the hair replacement system easy to clean and adds durability. While the focus of these hairpieces for men is on creating a natural look, the inclusion of skin and a poly patch adds durability. 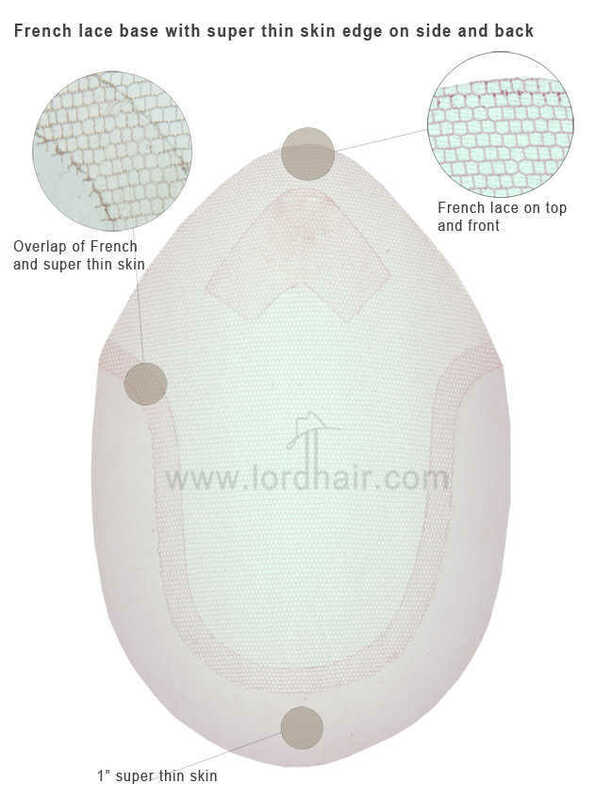 French lace is used on the top and front and there is a 1” transparent skin on the back and sides with a ¾” PU patch (super thin brushed poly patch) ½” back from the hairline where tape can be applied. They are feather light and offer comfort and ventilation but can be bonded to the wearer for longer periods of time owing to the skin and poly patch. 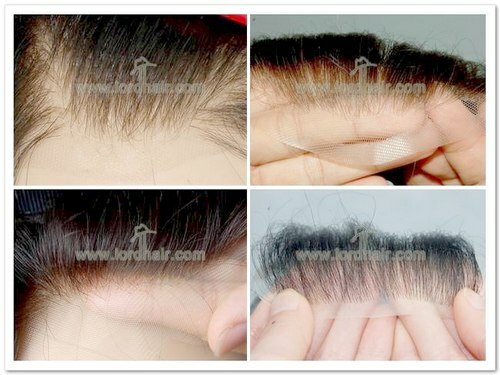 Light to medium light hair density can be supported by the hair systems. 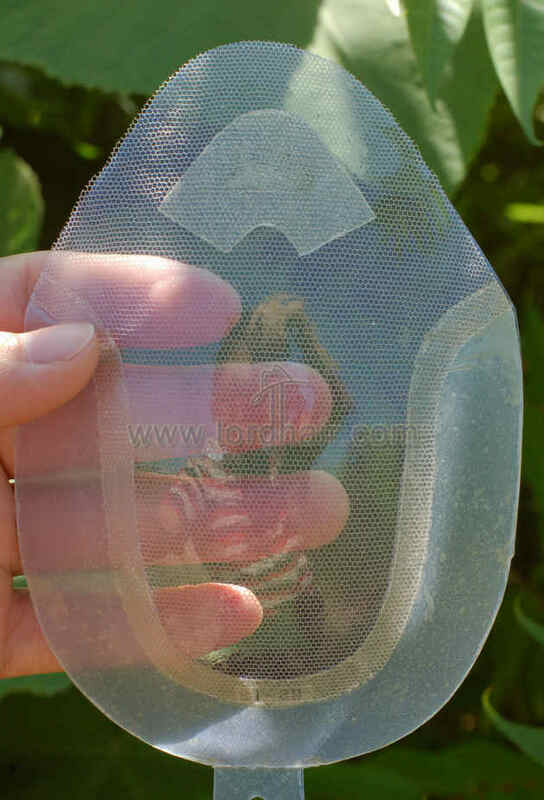 Base Construction: French lace on top and front section, 3/4″ pu patch (super thin brushed poly patch) 1/2″ back from hair line for tape tab, 1″ thin transparent skin on back and sides make it easy cleaning and add durability.